Name of entity in which the Significant Financial Interests are held: Pulmokine Inc.; private equity ownership interest. Value: cannot be readily determined through reference to public price or other measure of fair market value. Pulmokine Inc. policy for managing conflicts of financial interests. The principles articulated herein are intended to provide guidance in the management of formal relationships between employees of Pulmokine Inc. (“Company”) and their external constituencies in order to ensure that the design, conduct, and reporting of sponsored research will not be biased by any conflicting financial interests. Under the Public Health Service (PHS) and National Science Foundation (NSF) final rules on Objectivity in Research (Federal Register, July 11, 1995), and the Final Rule 2011 each investigator is required to disclose a listing of his/her significant financial interests, as well as those of his/her spouse and dependent children, that would reasonably appear to be affected by the research purposed for funding by the PHS or the NSF. If, after review of these disclosures, it is determined that the reported financial interests could directly and significantly affect the design, conduct, or reporting of the research, the Company will report the existence of such conflicting interests to the sponsor and act to protect the resulting research from bias owing to the conflict of interest. This policy statement is intended to satisfy current Federal rules for disclosure with regard to projects funded by the PHS or the NSF. This policy and the associated procedures are applicable immediately to all sponsored program activity at Pulmokine carried out by Company employees, consultants, scientists, trainees, technicians and other agents, research collaborators, or subcontractors (“Company employees/consultants/subcontractors”). The policy and the associated procedures are derived from the final rules on Objectivity in Research promulgated by the PHS and the NSF that were published in the Federal Register of July 11, 1995 and the Final Rule 2011. These procedures will be followed whenever Pulmokine or its employees submit a request for funding from any external agency, whether it is the PHS, the NSF or another Federal agency. The Company’s Mission: To Develop Novel Therapeutics for Pulmonary Vascular Diseases and Related Disorders. Such company research is facilitated and/or made possible through external funding from private as well as public sources. It is the Company’s responsibility to assure the integrity of all aspects of such sponsored research while, simultaneously, taking care not to discourage the development of external funding opportunities. The purpose of this document is to identify situations where potential conflicts of significant financial interest are likely to arise and to establish a process whereby such conflicts are either avoided or at least managed equitably to the satisfaction of all concerned parties. This document articulates Company policy on the management or elimination of conflicts of significant financial interest between outside constituencies and the associated funded activities carried out by Company. While this policy focuses upon avoiding, or at least managing, conflicts of significant financial interest, its primary purpose is to promote compliance with the standards of Objectivity in Research. A. Institutional Responsibilities means an Investigator’s professional responsibilities on behalf of the Institution (Pulmokine Inc.) and as defined by this policy on financial conflicts of interest. These responsibilities include research and institutional committee memberships. B. Conflict of Significant Financial Interest is considered to occur whenever a Company employee, or a family member of the Company employee, has an existing or potential financial or other material interest that impairs, or appears to impair, the Company employee’s independence and objectivity in the discharge of his/her responsibilities to and/or for the Company; or, alternatively, conflict of significant financial interest is considered to occur whenever a Company employee receives financial or other material benefit through inappropriate use of knowledge or information confidential to the Company. C. Company Employee is any individual employed on a full- or part-time basis by Pulmokine and is receiving, or will receive, compensation for such employment. (Includes Consultants, Agents and Research Collaborators of Company). D. Investigator is the principal investigator, co-principal investigators, or any other Company employee responsible for the design, conduct, or reporting of externally funded scientific research activities. Senior/key personnel means the PD/PI and any other person identified as senior/key personnel by the Institution in the grant application, progress report, or any other report submitted to the PHS by the Institution under 42 CFR 50.603. An Investigator as defined herein may be a Senior/Key personnel. E. Family member includes the Company employee’s spouse and children or other adults who qualify as dependents under the Internal Revenue Code definitions. F. Project implies any externally funded activity such as basic, applied, or developmental research, or other activity conducted by Company employees on behalf of the Company. Investigators also must disclose the occurrence of any travel reimbursed or sponsored by an entity other than Pulmokine Inc. (i.e., that which is paid by a non-Pulmokine Inc. entity, on behalf of the Investigator and not reimbursed to the Investigator so that the exact monetary value may not be readily available), related to their institutional responsibilities; provided, however, that this disclosure requirement does not apply to travel that is reimbursed or sponsored by a Federal, state, or local government agency, an Institution of higher education as defined at 20 U.S.C. 1001(a), an academic teaching hospital, a medical center, or a research institute that is affiliated with an Institution of higher education. This disclosure will include the purpose of the trip, the identity of the sponsor/organizer, the destination, and the duration. The institutional official(s) will determine if further information is needed, including a determination or disclosure of monetary value, in order to determine whether the travel constitutes an FCOI with the PHS‐funded research. Initial disclosure shall include reimbursed or sponsored travel that is received in the preceding 12 months that is related to an Investigators Institutional Responsibilities. The term significant financial interest does not include the following types of financial interests: salary, royalties, or other remuneration paid by the Institution to the Investigator if the Investigator is currently employed or otherwise appointed by the Institution, including intellectual property rights assigned to the Institution and agreements to share in royalties related to such rights; any ownership interest in the Institution held by the Investigator, if the Institution is a commercial or for‐profit organization; income from investment vehicles, such as mutual funds and retirement accounts, as long as the Investigator does not directly control the investment decisions made in these vehicles; income from seminars, lectures, or teaching engagements sponsored by a Federal, state, or local government agency, an Institution of higher education as defined at 20 U.S.C. 1001(a), an academic teaching hospital, a medical center, or a research institute that is affiliated with an Institution of higher education; or income from service on advisory committees or review panels for a Federal, state, or local government agency, an Institution of higher education as defined at 20 U.S.C. 1001(a), an academic teaching hospital, a medical center, or a research institute that is affiliated with an Institution of higher education. H. Negative Finding means a determination has been made that no conflict of significant financial interest exists. I. Positive Finding means a determination has been made that a conflict of significant financial interest does exist and, therefore, appropriate administrative action will be required as given under III.D. below. In accord with relevant Federal and State regulations, the Company is required to manage, eliminate, or reduce any potential conflicts of significant financial interests that may be inherent in the personal financial interest of an investigator. Company, therefore, requires investigators to disclose to the Company, any significant financial interest, including those of his/her family members, which would reasonably appear to affect institutional responsibilities. Investigators are required to provide updated disclosure information of significant financial interests no later than at the time of grant application, , annually during the time period of an award, and within 30 days of acquiring or discovering a new significant financial interest. In conjunction with the administrative review of applications for grants, the Chief Scientific Officer (CSO), will review each Financial Disclosure submitted and shall make the determination of whether or not a conflict of significant financial interest exists. If the CSO, determines that no conflict of significant financial interest exists, the resulting negative finding will be filed in the Company’s Legal and Human Resource files. For negative findings no further review is required. At the current time the CSO is also the CEO. Investigators may appeal a resulting positive finding to the CEO for a review of the conflict of significant financial interest determination reached by the CSO. The review of an appealed positive finding must be completed prior to the expenditure of any funds under an award. In reviewing positive findings, the CEO will be guided by the following principles: 1) Assure adherence to all relevant Company policies; 2) Give full considerations to the nature and extent of the financial interests in the relationship of the investigator, and/or the investigator’s family members, with the external constituencies; 3) Give special consideration to the terms and conditions of sponsored project agreements that mitigate or complicate the given situation; and 4) Consult fully with the investigator and obtain additional information from the investigator, as deemed appropriate to the management of the apparent conflict of significant financial interest. Following the determination of a positive finding, or upon receipt of the review by the CEO, CSO, shall make a final determination involving one of the administrative actions: 1) Accepting the sponsored project award; 2) Not accepting the sponsored project award; or 3) Accepting the sponsored project award subject to suitable modifications in the award documentation or in the investigator’s, or his/her family’s, affiliation with the external constituencies involved. Reasonable modifications under option (3) above might include one or more of the following actions; 1) Requiring that public disclosure of the identified financial interests be made; 2) Requiring that the data and research results be reviewed by independent reviewers identified by the CEO and the investigator; 3) Requiring that the research plan be modified; 4) Requiring that the investigator be disqualified from participation in a portion of the research; 5) Requiring that the investigator and/or her/his family member(s) divest certain significant financial interests related to the positive finding; or 6) Requiring that the investigator and/or his/her family members(s) sever relationships that create the conflict of significant financial interest. If an investigator who is required under this policy to file a conflict of significant financial interest disclosure fails to do so or fails to disclosure a significant financial interest on the disclosure form, the investigator may be subject to company and legal procedures. If an unreported significant financial interest involves a research project administered by the Company, appropriate administrative action required by the funding agency will also be taken. Pulmokine will promptly notify the funding agency if it is determined that the company is unable to manage satisfactorily any conflict of significant financial interest. Intentional disregard for this policy, including non-adherence to the agreed upon management plan, shall constitute serious misconduct and may be the basis for further administrative or legal inquiry. If the failure of an Investigator to comply with the Institution’s financial conflicts of interest policy or a financial conflict of interest management plan appears to have biased the design, conduct, or reporting of the PHS‐funded research, the Institution shall promptly notify the PHS Awarding Component of the corrective action taken or to be taken. The Institution will follow appropriate directions from the PHS Awarding Component on how to maintain appropriate objectivity in the PHS‐funded research project, including enforcement of applicable corrective actions prior to a PHS award or when the transfer of a PHS grant(s) involves such an Investigator. (3) An Institution finds that an Investigator is not in compliance with the Institution’s financial conflict of interest policy or management plan. The training shall consist of reading this Financial Conflict of Interest Policy and discussing it with the Investigator’s supervisor or the Pulmokine Board as appropriate. The Institution will retain records relating to all Investigator disclosures of financial interests and the Institutions review of, and response to, such disclosures (whether or not a disclosure resulted in the Institution’s determination of a financial conflict of interest) and all actions under the Institution’s policy or retrospective review, if applicable, for at least three years from the date of the final expenditures report is submitted to the PHS. 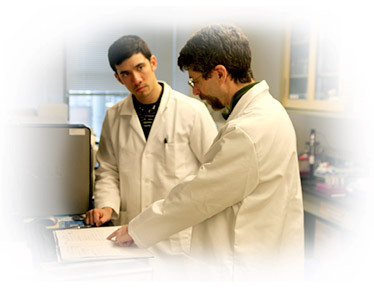 In any case in which the HHS determines that a PHS‐funded research project of clinical research whose purpose is to evaluate the safety or effectiveness of a drug, medical device, or treatment has been designed, conducted, or reported by an Investigator with a financial conflict of interest that was not managed or reported by the Institution as required by this regulation, the Institution shall require the Investigator involved to disclose the financial conflict of interest in each public presentation of the results of the research and to request an addendum to previously published presentations. (1) Incorporating as part of a written agreement with the subrecipient terms that establish whether the financial conflicts of interest policy of the awardee Institution or that of the subrecipient will apply to the subrecipient’s Investigators. (iii) Alternatively, if the subrecipient’s Investigators must comply with the awardee Institution’s financial conflicts of interest policy, the agreement referenced above shall specify time period(s) for the subrecipient to submit all Investigator disclosures of significant financial interests to the awardee Institution. Such time period(s) shall be sufficient to enable the awardee Institution to comply timely with its review, management, and reporting obligations under 42 CFR 50.604(c). (2) Providing FCOI reports to the PHS Awarding Component regarding all financial conflicts of interest of all subrecipient Investigators consistent with this subpart, i.e., prior to the expenditure of funds and within 60 days of any subsequently identified FCOI. In compliance with 42 CFR 50.605(a)(4), the Institution shall implement a management plan for Investigators with a significant conflict of interest, and the Institution shall monitor Investigator compliance with the management plan on an ongoing basis until the completion of the PHS‐funded research project. Whenever, in the course of an ongoing PHS‐funded research project, an Investigator who is new to participating in the research project discloses a significant financial interest or an existing Investigator discloses a new significant financial interest to the Institution, the designated official(s) of the Institution shall, within sixty days: review the disclosure of the significant financial interest; determine whether it is related to PHS‐funded research; determine whether a financial conflict of interest exists; and, if so, implement, on at least an interim basis, a management plan that shall specify the actions that have been, and will be, taken to manage such financial conflict of interest. Depending on the nature of the significant financial interest, the Institution may determine that additional interim measures are necessary with regard to the Investigator’s participation in the PHS‐funded research project between the date of disclosure and the completion of the Institution’s review. (ii) (A) In addition, whenever a financial conflict of interest is not identified or managed in a timely manner including failure by the Investigator to disclose a significant financial interest that is determined by the Institution to constitute a financial conflict of interest; failure by the Institution to review or manage such a financial conflict of interest; or failure by the Investigator to comply with a financial conflict of interest management plan, the Institution shall, within 120 days of the Institution’s determination of noncompliance, complete a retrospective review of the Investigator’s activities and the PHS‐funded research project to determine whether any PHS‐funded research, or portion thereof, conducted during the time period of the noncompliance, was biased in the design, conduct, or reporting of such research. (9) Conclusions of the review. Based on the results of the retrospective review, if appropriate, the Institution shall update a previously submitted FCOI report, specifying the actions that will be taken to manage the financial conflict of interest going forward. If bias is found, the Institution shall notify the PHS Awarding Component promptly and submit a mitigation report to the PHS Awarding Component. The mitigation report shall include, at a minimum, the key elements documented in the retrospective review above and a description of the impact of the bias on the research project and the Institution’s plan of action or actions taken to eliminate or mitigate the effect of the bias (e.g., impact on the research project; extent of harm done, including any qualitative and quantitative data to support any actual or future harm; analysis of whether the research project is salvageable). Thereafter, the Institution will submit FCOI reports annually, as specified elsewhere in this subpart. Depending on the nature of the financial conflict of interest, the Institution may determine that additional interim measures are necessary with regard to the Investigator’s participation in the PHS‐funded research project between the date that the financial conflict of interest or the Investigator’s noncompliance is determined and the completion of the Institution’s retrospective review. (C) The Institution determines that the significant financial interest is a financial conflict of interest. (ii) The information that the Institution makes available via written response to any requestor within five business days of a request, shall include, at a minimum, the following: the Investigator’s name; the Investigator’s title and role with respect to the research project; the name of the entity in which the significant financial interest is held; the nature of the significant financial interest; and the approximate dollar value of the significant financial interest (dollar ranges are permissible: $0‐$4,999; $5,000‐$9,999; $10,000‐$19,999; amounts between$20,000‐$100,000 by increments of $20,000; amounts above $100,000 by increments of $50,000), or a statement that the interest is one whose value cannot be readily determined through reference to public prices or other reasonable measures of fair market value. Information concerning the financial conflicts of interests of an Investigator that meet criteria of this section shall remain available for responses to written requests for at least three years from the date that the information was most recently updated. Prior to the Institution’s expenditure of any funds under a PHS‐funded research project, the Institution shall provide to the PHS Awarding Component an FCOI report regarding any Investigator’s significant financial interest found by the Institution to be conflicting and ensure that the Institution has implemented a management plan. In cases in which the Institution identifies a financial conflict of interest and eliminates it prior to the expenditure of PHS‐awarded funds, the Institution shall not submit an FCOI report to the PHS Awarding Component. For any significant financial interest that the Institution identifies as conflicting subsequent to the Institution’s initial FCOI report during an ongoing PHS‐funded research project (e.g., upon the participation of an Investigator who is new to the research project), the Institution shall provide to the PHS Awarding Component, within sixty days, an FCOI report regarding the financial conflict of interest and ensure that the Institution has implemented a management plan. Where such FCOI report involves a significant financial interest that was not disclosed timely by an Investigator or, for whatever reason, was not previously reviewed or managed by the Institution (e.g., was not timely reviewed or reported by a subrecipient), the Institution also shall complete a retrospective review to determine whether any PHS‐funded research, or portion thereof, conducted prior to the identification and management of the financial conflict of interest was biased in the design, conduct, or reporting of such research. Additionally, if bias is found, the Institution shall notify the PHS Awarding Component promptly and submit a mitigation report to the PHS Awarding Component. For any financial conflict of interest previously reported by the Institution with regard to an ongoing PHS‐funded research project, the Institution shall provide to the PHS Awarding Component an annual FCOI report that addresses the status of the financial conflict of interest and any changes to the management plan for the duration of the PHS‐funded research project. The annual FCOI report shall specify whether the financial conflict is still being managed or explain why the financial conflict of interest no longer exists. The Institution shall provide annual FCOI reports to the PHS Awarding Component for the duration of the project period (including extensions with or without funds) in the time and manner specified by the PHS Awarding Component. 1. Describe your significant financial interest in the organization (other than ______________) that is directly related to your research interest (or would be affected by your research) or directly relates to a business decision you are participating in. “Significant Financial Interest” means anything of monetary value, including but not limited to, salary or other payments for services (e.g., consulting fees or honoraria); equity interest (e.g. stocks, stock options or other ownership interests); and intellectual property rights (e.g., patents, copyrights and royalties from such rights). (5) salary, royalties or other payments that when aggregated for the investigator and the investigator’s spouse and dependent children over the next twelve months, are not reasonable expected to exceed $5,000. 1. Do you have a significant financial interest in a commercial organization (other than Pulmokine) that is directly related to your research interest (or would be affected by your research) or directly relates to a business decision you are participating in? If you answer yes to any of the above questions, you will be asked to disclose in further detail any Significant Financial Interest. Italicized phrases are defined in the Policy For Managing Conflicts of Significant Financial Interest at ________________________. Affirmation: In submitting this form, I affirm that the above information is true and accurate and, further, that I accept responsibility for being familiar with the Policy for Managing Conflicts of significant Financial Interest at _____________________.